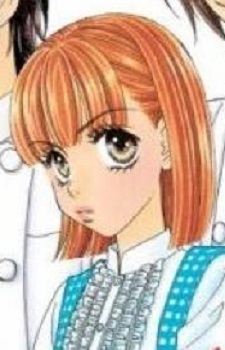 Hana Suzuki, the main female character in Gokuraku Seishun Hocky Club/My Heavenly Hockey Club. Hana Suzuki is a high school girl who loves eating and sleeping. Hana doesn't really care about relationships at first, just food. The first away hockey game, and she's thinking of the promise of delicious food and luxurious linens.